Our company is built around our people! 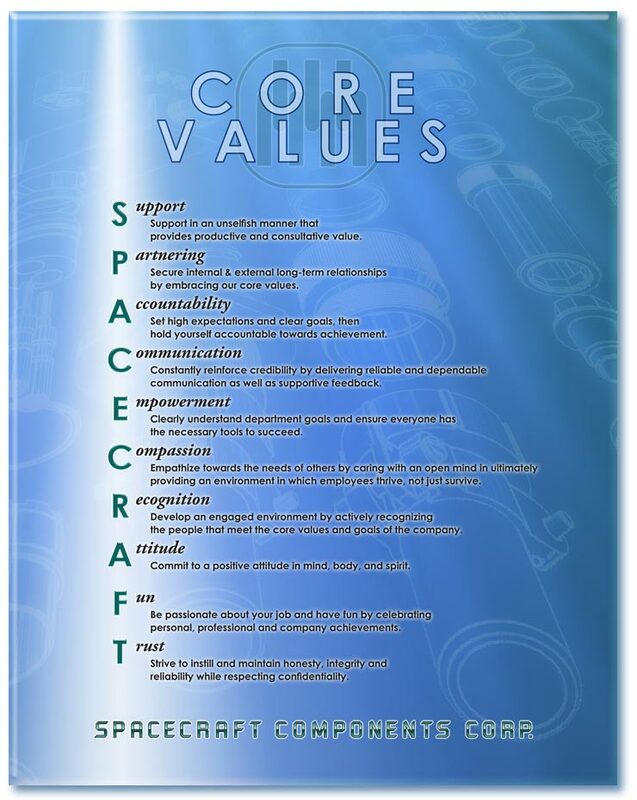 Spacecraft Components is much more than a place to go to work every day. We are constantly growing by inspiring and motivating our talented team of individuals towards personal and company achievements. As a result, our collaborative team eagerly embraces change. After all, it's the combined talents, skills, knowledge, experience and passion of our people that make us who we are. a motivational environment of RESPECT.